Business Description: BigBox International (BBI) is an Agro Based Trading Firm specialising in Indenting (Broking), Import, Export and Domestic Sales of Pulses and Spices. 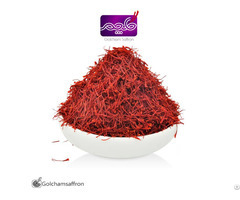 Export - We export wide range and varieties of superior quality Indian spices in various forms including whole, ground (powder), crushed (flakes) and extracted (oleoresin) across the globe. Our strong network of major growers, reputed suppliers and manufacturers in India allows us to undertake orders of any scale with confidence. Domestic Sales – We also supply high quality pulses and spices at wholesale price in the domestic market. Our prices are competitive since we buy in bulk quantities directly from the growers. Strategically located at Chennai, India, BigBox International has closely associated with Growers, Suppliers, Clearing House Agents and Logistics providers across India to provide seamless service and deliver quality products at the best price for our customers.